Vientiane (VNA) – A flag-raising ceremony was held in Vientiane on August 11 in celebration of the 50th founding anniversary of the Association of Southeast Asian Nations (ASEAN) and 20 years of Laos’ engagement in the bloc. Lao Foreign Minister Saleumxay Kommasith said August 8 is a significant and historical day to all ASEAN member nations as it marks the development of a regional organisation, which was established to strengthen cooperation in the spirit of equality, building peace, stability, development and prosperity in the region and beyond. 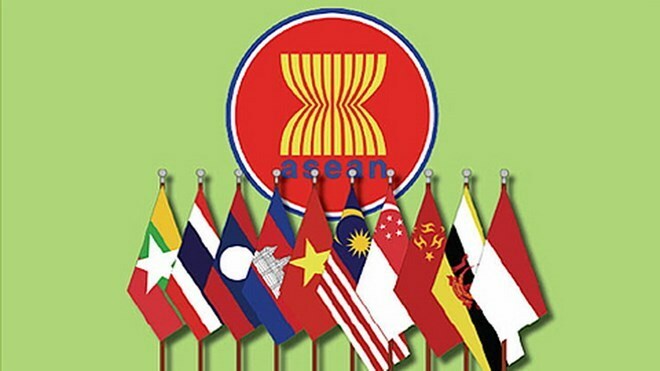 Despite difficulties and challenges over the past 50 years, ASEAN has gradually evolved and gained solid achievements to become an organisation connecting regional countries, which was recognised by the international community, he said. Being an official member of ASEAN from 1997, Laos has made active contributions to the building of the ASEAN Community, bringing pragmatic benefits to Laos and ASEAN in general, he added. He took this occasion to thank ASEAN partner and dialogue countries to support and cooperate with the bloc over the past five decades. The diplomat hoped the involved parties will continue upholding the spirit of cooperation and friendship to build peace, stability, development and prosperity in the region and around the world.